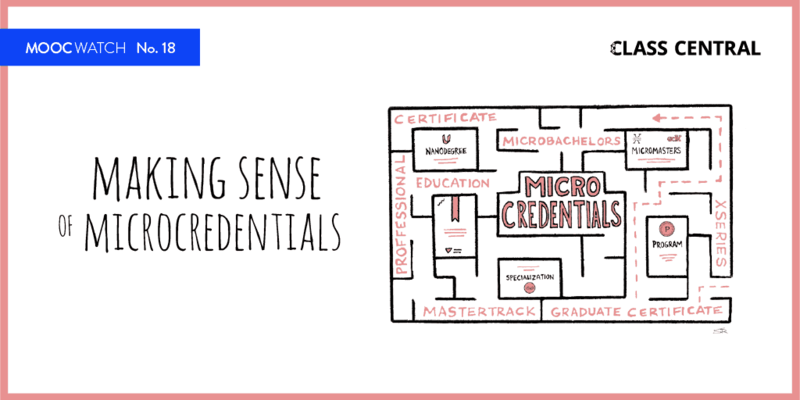 The pool of MOOC credentials grew rapidly this month: Coursera launched over 40 new Specializations, edX launched new 19 MicroMasters, and Udacity launches 2 new Nanodegrees. 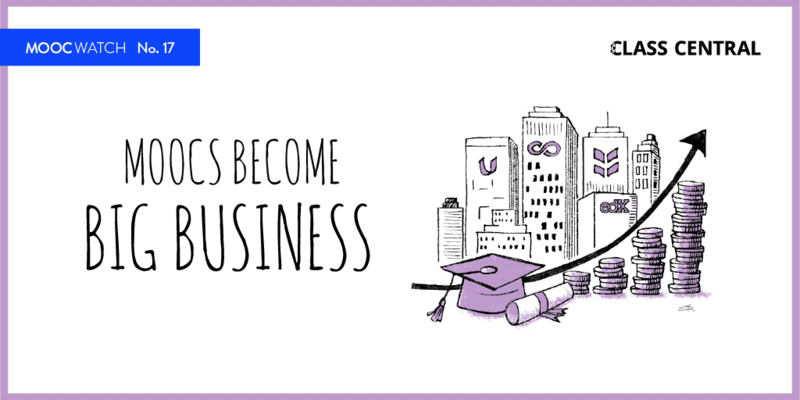 Coursera also launched a new MOOC service for businesses. The New York Times and a number of other non-education-focused organizations are now offering MOOCs. Class Central released the first of its MOOC guides: the best programming MOOCs for data science. Plus, we have created new lists of the most highly-reviewed MOOCs to improve your mental health and learn a new language. Harvard University makes MOOC learners feel like they are actually inside the classroom with a new virtual reality MOOC format for its popular intro to programming course. We found a number of interesting MOOCs to learn about human rights, neuroscience, music, and more! Harvard University’s very popular intro to programming MOOC now allows you to feel like you’re sitting inside the lecture hall, thanks to a new VR format. 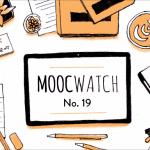 The number of MOOCS available has more than doubled in the past year, but forum activity has significantly slowed with new on-demand formats. EdX launches nineteen new MicroMasters with the help of fourteen partner universities. A number of well-known non-education-focused organizations have launched MOOCs, MOOC platforms, and degrees. Coursera launches TV ads on major U.S. networks. It has also run ads in the Times of India newspaper. The best new courses starting in September 2016. A list of 1600+ free online courses starting in September 2016. The list of 145 new courses added to Class Central in August 2016. Interviews with European edtech leaders on what they think of MOOCs and learning management systems. Udacity launches two new Nanodegrees: one on building self-driving cars and another on virtual reality (both with industry partners). An opportunity for college instructors who want to participate in the Freshman Year for Free initiative. 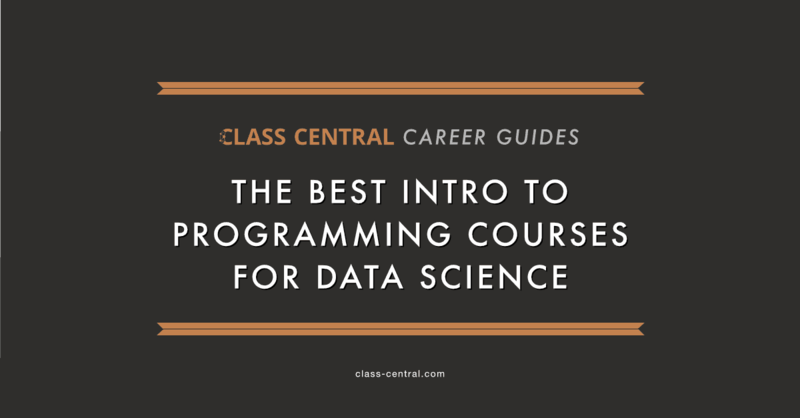 Our first MOOC guide: The Best Intro to Programming Courses for Data Science. Coursera launches a new service to help businesses train employees. 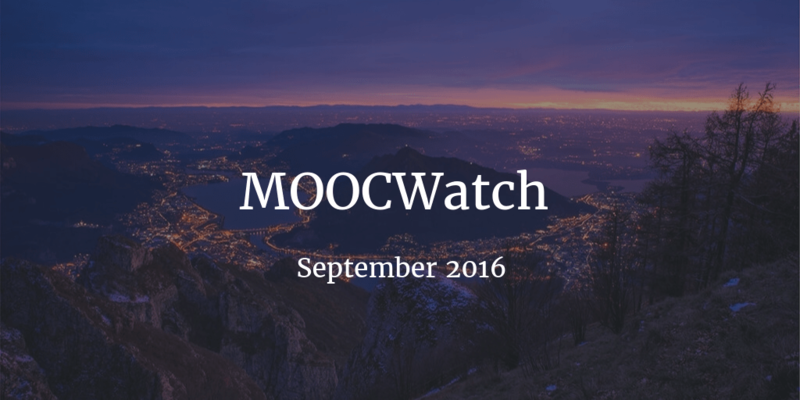 We put together a list of language-learning MOOCs. A list of highly-reviewed happiness-related MOOCs. The University of Chicago’s popular neuroscience MOOC (over 100,000 learners enrolled) relaunches on October 1, and is now on-demand. It has a Facebook group with over 17,000 members. The head of Human Rights Watch tweeted about a Udemy course on the history of gender and sexual equality. Taught by two human rights lawyers, it was recorded at the former headquarters of Chile’s military dictatorship. That building is now a community center named after the first Latin American to receive the Nobel Prize in Literature, queer poet Gabriela Mistral. Article on teaching music through MOOCs by Kadenze co-founder (and Princeton University music professor) Perry Cook. The UK Parliament launches a MOOC on its own functions. Helpful MOOC-taking tips from the staff of FutureLearn.